Children are filled with innovative ideas. They often surprise you with the things they do with what you give them. Leave them in a sand box and they will make castles, give them building blocks and they’ll build houses and robots. Give them an accessible coding platform? They’ll make video games or… maybe even program the next droid for Mars. The Hour of Code is a global movement with the goal of introducing this generation of children worldwide to computer science and basic programming. 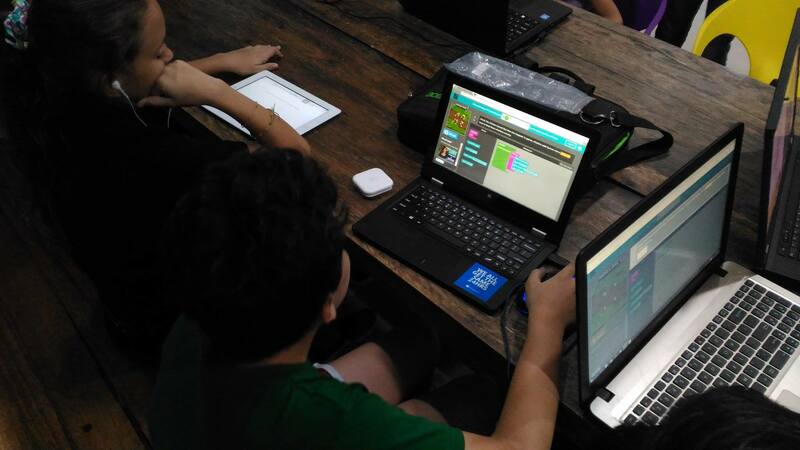 Tech One Global is joining this technological journey along with over 359* other participating organizations in the Philippines and 133,049* worldwide to give every kid a chance to jump start their futures in coding and programming. Click here and proceed to our Facebook page to know more. With computer science becoming more and more important in how industries develop, honing coding skills at a young age is a sharp edge for any individual. The more kids we expose to coding, the more potential innovations we have as a whole. This is the basic mindset that #hourofcode follows and is what drives the whole movement forward. As an introduction to computer science for kids, #hourofcode comprises of basic programming and coding exercises that uses video games and other creative platforms to engage students in the step-by-step of coding. Sessions can range from simple coding sequences using blocks to more complex asset scripting where you’ll get to code a chicken’s program. 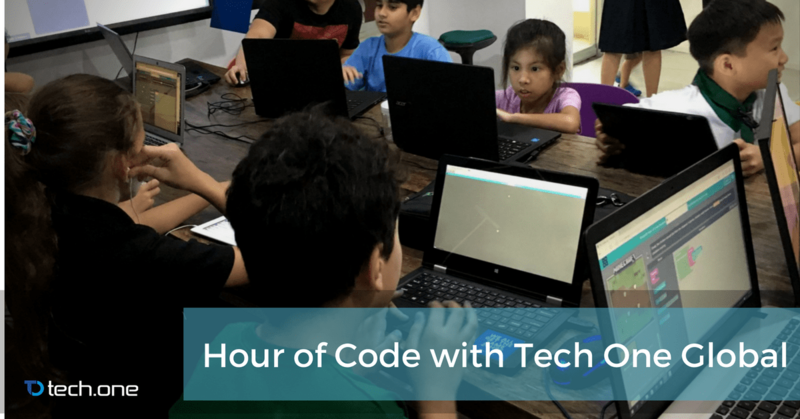 With a huge success on its initial days, Tech One Global’s Hour of Code has become a stepping stone for kids of all ages in starting their path in coding and programming and we are excited to teach as more days go by. Classes range from beginner to expert levels separated by different grades. Hourofcode.com offers a plethora of platforms that fits any coding activity that you want your kids to experience. They can engage in sessions that guide Minecraft’s hero, Steve, across levels of puzzles through coding his actions instead of merely controlling him. They can also choose other ways to learn coding: there’s the fantasy inspired CodeCombat complete with different characters and dungeons you need to navigate using Python, there’s also Crossy Road where you need to code scripts and help the chicken cross the road. These engaging platforms are all free for any kid to enjoy. Tech One Global is happy to join in this movement by offering our very own expertise to aspiring kids. From December 4 to 9, 2017, we are offering free coding classes using #hourofcode’s platforms under the tutelage of our very own developers. 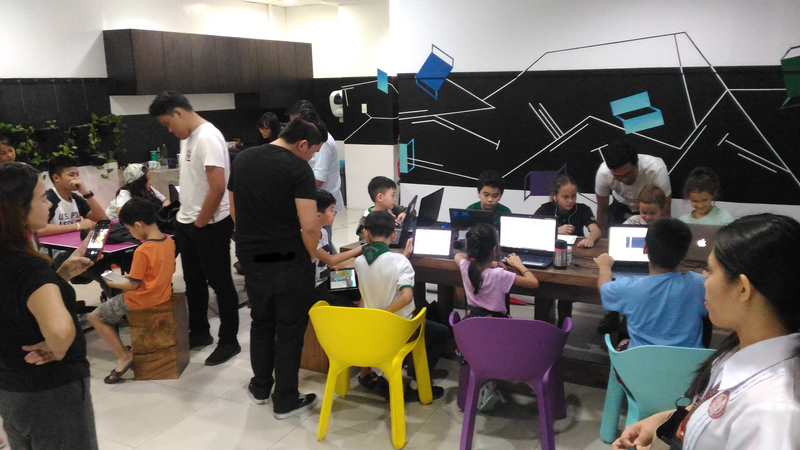 Tech One Global took the initiative and opened its doors to the youth with the hopes of providing a substantial and experienced-based learning for kids of all ages. Tech One Global believes that it is its duty as a leader in digital transformation to tap the talents of young individuals and to awaken the spirit of innovation sleeping inside the next generation. Interested? For more inquiries, follow us on Facebook. No registration or fees needed, just drop by at our office or message us on our page and experience this year’s #hourofcode.